Some time ago, a news bulletin on national television carried a story on the state of Fort Ricasoli. Over the years I have followed the pitiful degradation of this historic monument and it was tragic to notice from the film shots aired that the battlements facing the sea have crumbled further since I last visited the area a year ago. The geotechnical problems are now seriously threatening the preservation of the entire structure. Fondazzjoni Wirt Artna chairman Mario Farrugia spoke ominous words about the fate of Malta’s largest fort if nothing is done. Should nature takes its course, the precarious cavern and fissure formation on either side of the peninsula will eventually be exacerbated by wave action resulting in the creation of an island, destroying Ricasoli forever. A golden opportunity to save this monument was lost when it was not included in the Smart City master plan, and could have been fully restored as a planning gain just as forts Manoel and Tigné were thanks to the Midi project. I am by no means qualified in marine engineering, however, I am certain that some form of specially-designed artificial reef could have been devised using the thousands of tonnes of limestone excavated to make way for the Smart City conurbation. Such a reef would protect the sea-ward flank of the fort’s enceinte from the wrath of the battering sea-storms. More material could have been used to infill the fast-growing crevices and caves, further consolidated of course by employment of major concreting works. Think of the tens of thousands of euros spent on barge fuel that could have been saved like this, not to mention the tonnes of carbon dioxide spared from being spewed into the air. That opportunity has now gone. However it is not too late. With countless excavation operations in the country, I am sure that such a reef can still be formed. 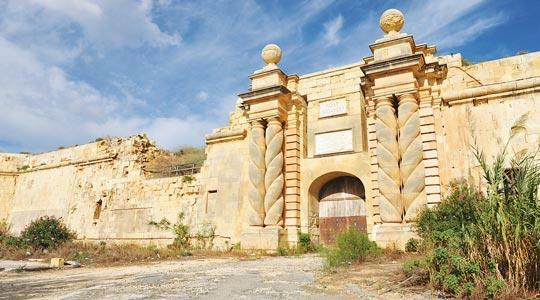 Once this geotechnical problem is tackled, then one can focus on the gargantuan (this fort is a whopping three times the size of Fort Manoel) task of restoring the masonry fabric of Fort Ricasoli. Last June, architecture students presented some excellent thesis projects on the possible rehabilitation of Fort Ricasoli. Not only have they acquired a very detailed knowledge of its history and structure but they put forward some very valid proposals for its reuse. I call on these budding architects to present their work to the government so that something may be done before Fort Ricasoli is doomed for good.